Please note that the adoption fees vary between £125 - £350 depending on age. You are not purchasing a dog, you will be giving a donation to GSDR that will provide kenneling or veterinary care for the many dogs that need our help. To begin the adoption process, please fill in the ADOPTION FORM which will be sent to our rehoming volunteer. Please be honest with your answers and don't put what you think we want to hear. Our rehoming volunteer will then telephone you to discuss adoption and to organise a home check. When GSDR considers placing a dog in a new home, care is taken to ensure that there is a good match between the dog, its new owner and the new home environment in which it will be living. Not every dog will be right for a given environment and not all potential owners will be right for a given dog. Sometimes we get requests from individuals who attempt to give us a detailed description (possibly highly unrealistic) of a dog they would like us to provide them with and whilst we do try to find a dog that fits in with the wishes of the prospective new owner, dogs do not "come to order", they are all individual and have their own personalities. Both the dog and its new owners will have much learn from each other and will require time to adjust, but if approached with a practical and realistic attitude, adopting a German Shepherd can be a deeply rewarding experience. The initial stages of the adoption process begins when you contact us. First, we will discuss with you over the phone your specific situation, i.e. if you have owned a German Shepherd before, how the dog is to be accommodated, your other pets if any, how much time will you be at work/have available to spend with your dog and your family commitments. We, in turn, can then advise you of a dog that may be suitable for you. If there is not a dog available at that time, we will contact you when there is. If you decide after talking it through with us that this is what you want, we will arrange a convenient time for a home visit. Please do bear in mind that as we are all volunteers and many of us have day jobs so we cannot always arrange an immediate visit. We will, however, do our best to meet with you as soon as possible. If all goes well and we are able to place a suitable dog with you, we will contact you again to arrange with you a suitable day and time to bring your new companion. To keep our costs down, you may be asked to travel to meet with a volunteer to pick up your new dog. On accepting your new dog you will be asked to fill in and sign an adoption form which sets out the legal conditions for adoption from German Shepherd Rescue. In order to help you through the initial stages, we will keep in touch to see how your new dog is settling in and how you are managing. During this period we will do our best to ensure you get any support and guidance you need. Telephone support is available, so there is no need to worry about being left to cope with any problems alone. Most placements do succeed well and some of our adopters even come back for more! We do try to treat every application individually but below are some general rules. where a dog is going to be left longer than 4-5 hours on a daily basis, as this is very unfair to the dogs. to applicants living in flats. Communal gardens and stairways are not ideal for GSD's because of their protective and territorial nature. 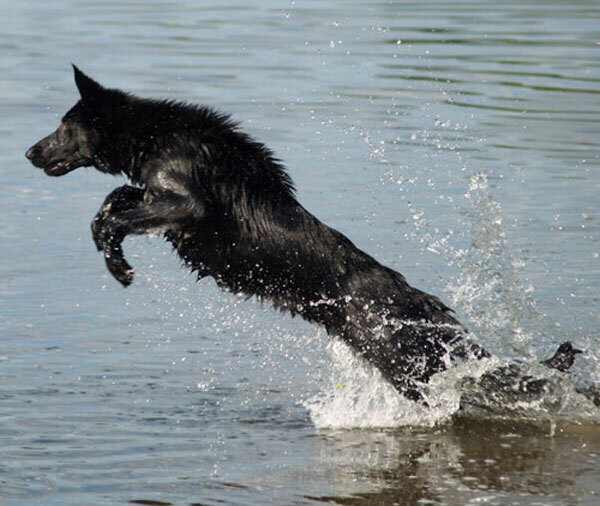 A large breed dog like a GSD needs space and a garden where they can let off steam or chill out. where dogs will be housed outside in a kennel and run and not in the house. where a dog is going to be used for guarding purposes. One of the saddest sights is a German Shepherd confined to a yard or tethered on the end of a chain where it is never walked or given any attention. These days, thieves will have no qualms about harming a dog so get a good burglar alarm instead. to any applicants who intend to use any dog for breeding, as we have a no breeding policy. The rescue is not in a financial position to spay/neuter before adoption, but at the time of adoption, you will be asked to sign an agreement that the dog will be taken to the vet for this procedure to be carried out as soon as feasible after the adoption. You will be asked to provide evidence that the procedure has been carried out. Some dogs will have already been neutered or spayed by their previous owner. Anyone who breeds in the current economic climate is in our opinion, irresponsible. we do not re-home where there is no secure garden area for the dog to go into. where in our opinion the applicant would not be physically capable of exercising a large dog adequately. Following adoption we ask that all new owners insure their new dog as soon as possible - Vet fees can be very expensive! A GSD makes a wonderful friend and family pet but If you haven't had one before it is important to understand that this is a working breed and they can be 'difficult' to the uninitiated. A GSD needs a lot of exercise, some good basic training and companionship - they like to be with you. They can be very vocal and they are naturally protective towards their new family and property so you will need to think how you can manage this so as not to upset friends and neighbours. A bored and lonely GSD can be very destructive. Following adoption, your GSDR Coordinator will give you a code to activate the free 4 weeks insurance. Insurance does not cover pre-existing medical conditions.